Artificial Photosynthesis was present at the 12th Science Festival celebrated in Barcelona last Sunday, June 12th. 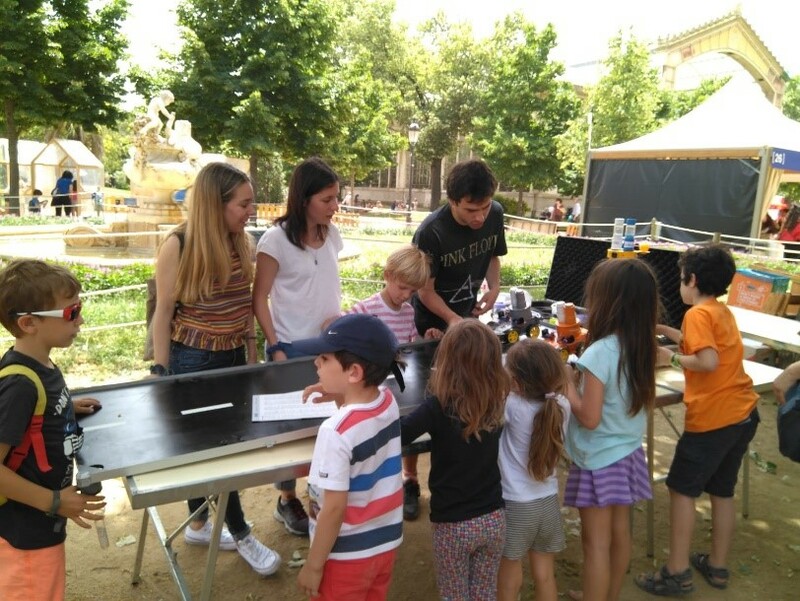 Some researchers from the Institute of Chemical Research of Catalonia (ICIQ) explained the A-LEAF project to children from different ages through a ‘unique’ car race. One of the cars was powered by petrol and the other one used a solar fuel (methane) generated from CO2 and water, which is one of the ultimate objectives of A-LEAF. And the winner was… the children and adults witnessing the race as they learnt that artificial photosynthesis could be a green alternative for the generation of environmentally friendly fuels! Meeting in Vienna: A-LEAF is half way through!